Pier Solar is a love letter to the rich, imaginative 16-bit RPGs of a bygone era. It was originally designed and developed for the SEGA Mega Drive & SEGA Genesis. 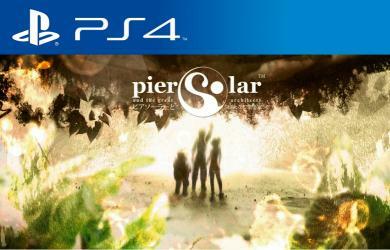 Pier Solar Features a Massive world to explore with 50+ hours of gameplay, over 300 locations, nearly 500 unique treasure chests, over 800 NPCs, epic battle tactics, an original soundtrack, mini games and many more surprises! It is translated in 6 languages and is the biggest 16-bit RPG ever!